There are so many products promising long healthy lashes, but overuse of mascara and over dying the lashes can turn them brittle and cause breakage. The lashes grow much like the hair. The follicle encourages lash growth to a specific length, but only the healthiest lashes will grow to the maximum length before shedding ready for new lash growth. Great looking lashes need no color, as they have a natural glossy sheen. If you have applied mascara to your eyes for many years, it may be time to give your lashes a break and condition them with an eyelash primer. 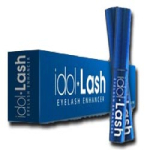 This will protect your lashes against sun and UV damage, whilst encouraging healthy growth. In centuries gone by, they want for long enviable lashes was every young girl’s dream, but this often leads to brittle lashes and there was no product to encourage healthy lash growth back then, so there was only mascara in place to offer a “healthy” sheen. Now there is a wide range of eyelash conditioners in place to strengthen weak lashes and encourage strong regrowth. In the world of beauty, it can be difficult to know what to look for. A good eyelash conditioner will contain hydrating ingredients including Panthenol, Hyaluronic Acid, and Glucoproteins, all of which encourage healthy lash growth whilst improving the overall look. Using these products over the space of three to five weeks will provide visible results and you can say goodbye to mascara forever. As eyelash primers and conditioners are causing such a radical change amongst the cosmetics industry, many types of mascara now contain additional ingredients to condition the lashes. These are the exception, but it is also good to give the lashes a break from makeup. Healthy lashes many any woman look glamorous and provides a youthful effect whilst also providing the illusion of wider eyes. Continuous use of eyelash conditioners will help your lashes look fuller, thicker, and they will experience less breakage. There is now an easy way to grab the attention from your crush by batting your healthy lashes and wait for the response. So is it better to use mascara with an added conditioner or use an eyelash-enhancing product? While it is recommended that the face receive a break from foundation, giving the lashes a break from eyes and mascara is also a useful option. Use a conditioner every day to encourage lash growth, and over time you will wake up with healthy long lashes that do not require make-up to achieve the same results.